Designed specifically to provide reliable radio coverage in buildings and large sites the Hytera RD625 operates in digital or analogue mode to improve your communication range. 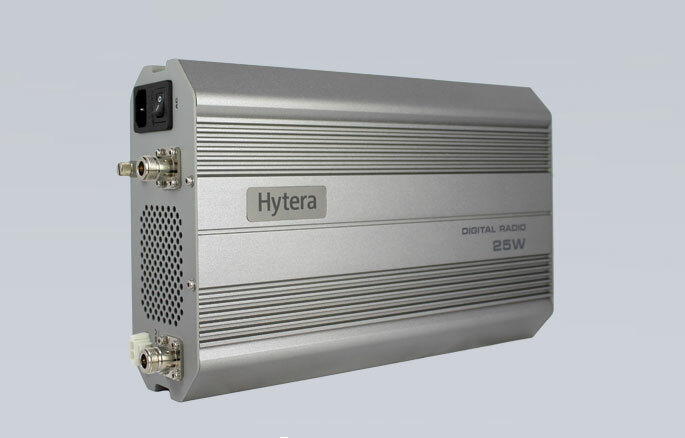 The RD625 is both an Analogue and DMR dual mode repeater system from Hytera. The RD625 is small and can be easily mounted to a wall or other fixture. The Hytera RD625 is fit for many different models of radio which makes it one of the most popular among customers.